Whether you need solutions for thin- or heavy-wall automatic tube processing, our RH High-Production Series meets the challenge. 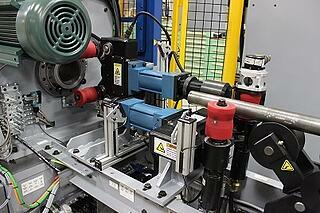 These rotating head cutoff machines give you repeatability with lathe-like tolerances. The RH-700HP can produce precision-cut, heavy-wall blanks in a strict Cpk environment requiring a length tolerance down to +/-0.005 inch. A precision blank produced by our RH-700HP generates less raw material loss than a sawed blank. Less material waste can result in thousands of dollars in savings per year. The RH-450HP rotating head cutoff machine is capable of processing burr-free cuts in seconds. By utilizing a pinch roll feed drive system, full-length incoming tubes move quickly and efficiently through the tube loader once the part is cut. Faster material handling means more parts per hour. 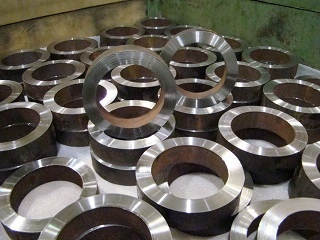 If tube end finishing is required, optional secondary chamfering or deburring equipment is available. 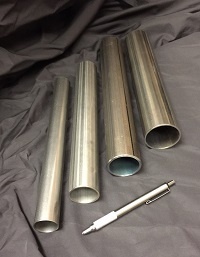 With capabilities of cutting tubes as thin as 0.028” wall thickness, the RH-450HP tube cutoff lathe can process tubes for a wide variety of applications. Need an engineered solution for your application?